Don’t buy hummus, please. Just don’t do it. The homemade garlicky version is too easy, I swear! But if you’re turning into that party guest who always shows up with some basic hummus and raw veggies to counteract all the competing cheese plates, I get it. You’re earning a boring reputation, and no one likes to be that predictable. This is where you reveal some badass baba ghanouj. Baba gha-what? Creamy, lemony, and a lil’ tart on your tongue, this is that Mediterranean eggplant dip that has everyone coming back for a few more chips’ worth. 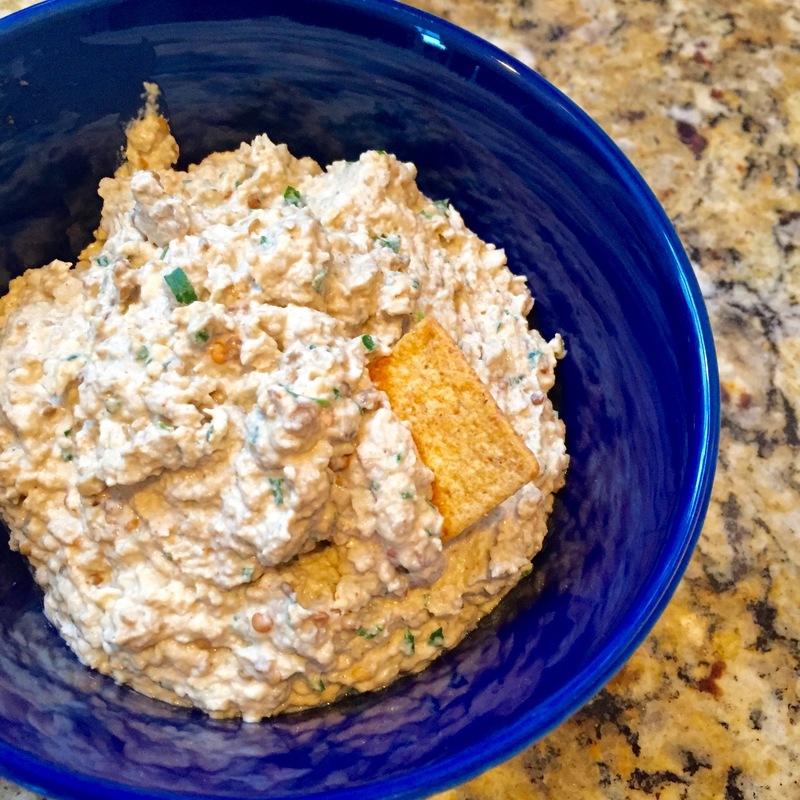 Sure, it kinda looks like some canned tuna situation, but smells spiced and citrusy, with some specks of fresh green parsley for a hint of color. Also, you get to totally sear the skin off of a giant eggplant, basically burning down the kitchen in the process with sizzling oil and smoke. Break out the pita—or just grab a spoon and hide the bowl from the other party guests—and crown yourself an appetizer warrior. The recipe is from the Hot Vegan cookbook. 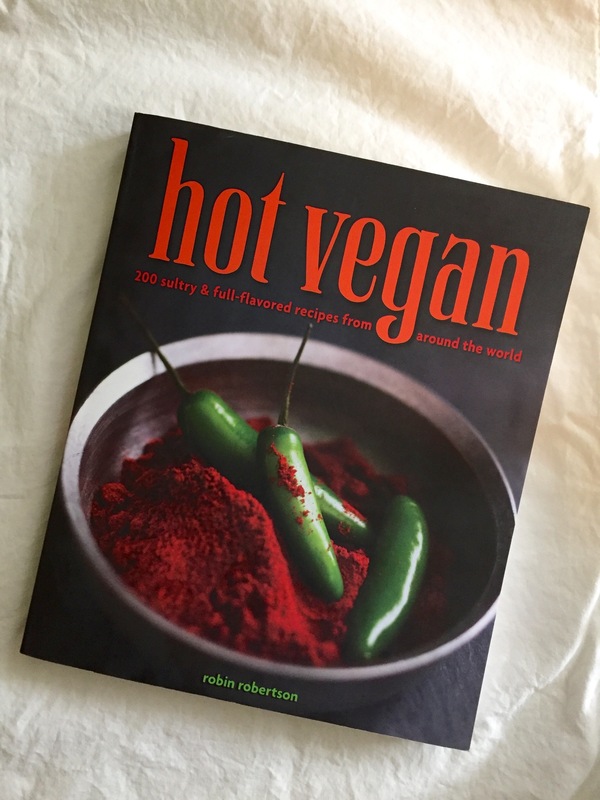 It was a Christmas gift from a friend (THANKS REBECCA <3) and includes “200 sultry and full-flavored recipes from around the world.” Spiced tempeh is definitely next up, amigos. Let’s try some new things this year and force everyone else to eat them, too. I love this book’s simple design: no photos or fancy illustrations, just a mini encyclopedia of recipes from all over the place, accessible ingredients, and a practical spiciness indicator: 1, 2, or 3 peppers—choose your poison. And then there are plenty of dishes from China, which has me going, What is Chinese food if not fried rice and Szechuan green beans? THERE’S SO MUCH TO LEARN, FRIENDS. Spray a cast-iron pan with olive oil. Place the whole eggplant in the pan over high heat, rotating every few minutes for about 20 minutes, or until the outer skin is blistered. Wrap in a clean towel and let cool for 10 minutes. Then peel off the blistered skin and squeeze the eggplant to remove some of the bitter juices. Transfer the eggplant to a food processor and add the remaining ingredients. Pulse until a creamy spread forms. If it tastes too bitter, add more lemon juice. Mush it into a bowl, room temperature, and scoop it up with pita chips (or whateva you’ve got) for some majorly fancy snack times.